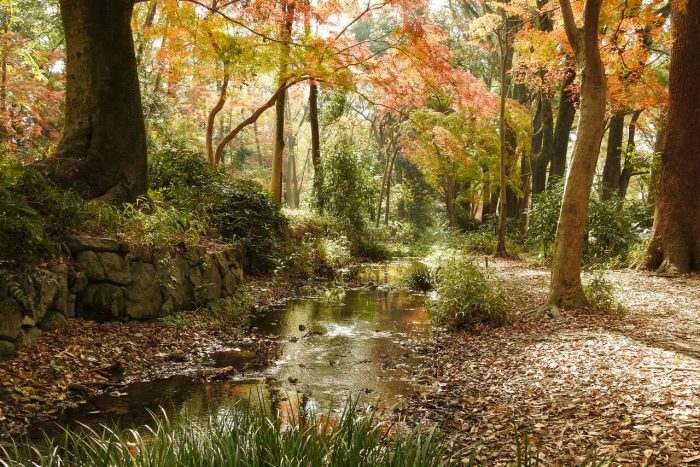 Tohgei reflecting the Japanese sense of beauty | Why KYOTO? 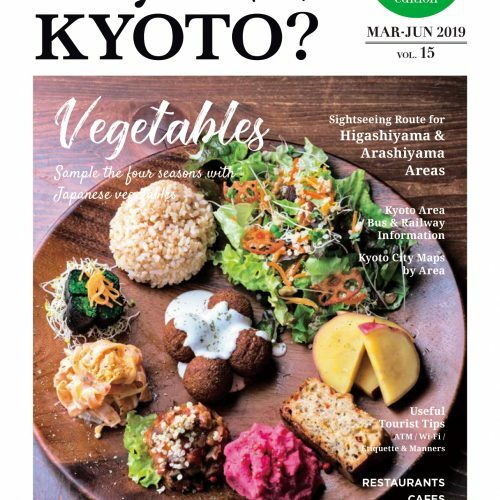 Kyoto possesses a deep connection with traditional Japanese cuisine and the tea ceremony, and distinctive ceramic ware can be found in every aspect of life here. Tohgei the Japanese word for pottery or ceramics. This can mean objects made with either stoneware or porcelain, both of which are natural clays found in the earth having special characteristics. 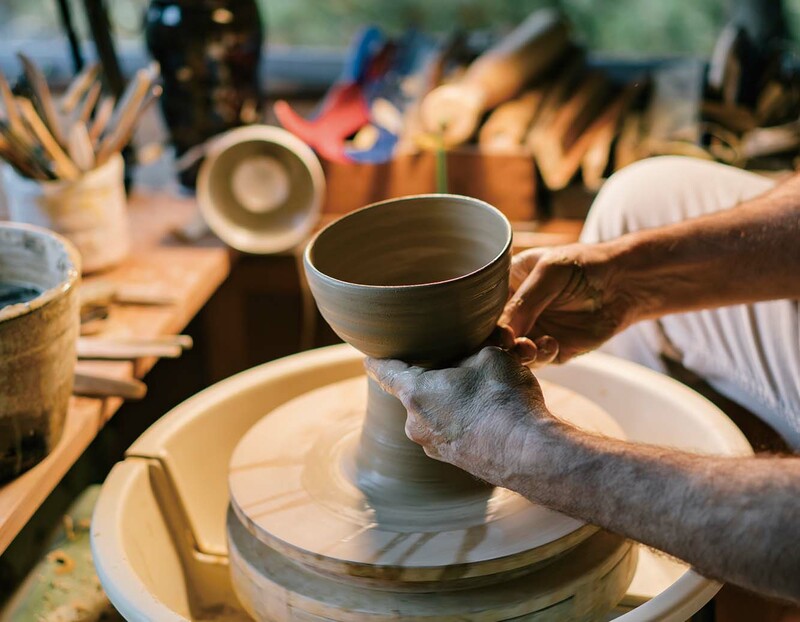 The clay is shaped using one’s hands or a variety of tools, such as a potters wheel. Ceramics encompass various techniques in which the piece is formed, decorated and or coated with a liquid formula of materials such as ash, silica and or feldspar, then fired in a kiln, melting the formula to create a glass coating called a glaze. 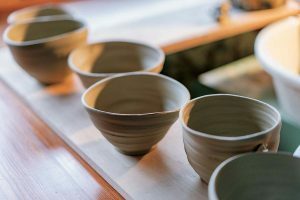 Tohgei Äi0can also refer to unglazed clay fired in a wood burning kiln which hardens the material, often resulting in a natural ash glaze covering the work. The properties of the raw clay vary by region thereby producing wares that are very distinctive to each area. Ceramics created in Kyoto are called Kyo-yaki, or Kyoto ware. They are unique in their variety and include a wide range of techniques, including elegant, refined under and overglaze painting as well as both low and highfire wares. 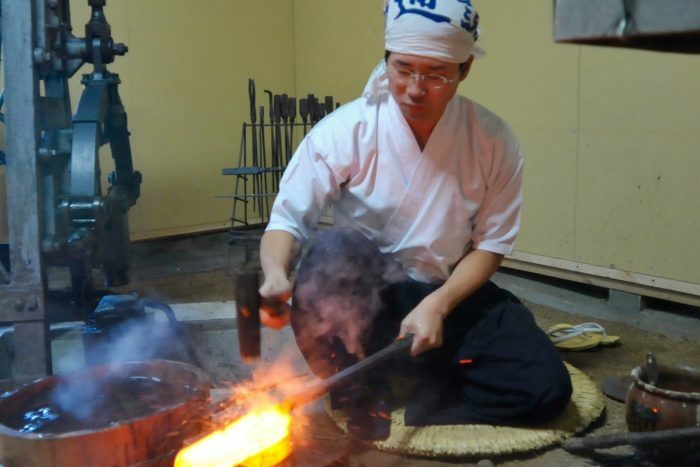 Due to Kyoto’s role as Japan’s cultural capital for over 1,200 years, pottery techniques and creations nationwide naturally flowed into the city. These laid a foundation for the development of a wide range of styles as well as new innovations to satisfy the refined taste of the aristocracy, not to mention the ikebana and tea ceremony practitioners. Similar to the unique development of Japanese culture, there was a dramatic difference in the evolution of pottery compared to the West. In Japan the ceramics developed in response to culinary customs that required many small dishes for individual foods. This began with staples of rice, soup and pickles and increased over time as people became more prosperous, increasing the number of dishes. The flowering of the arts and culture in general allowed people to enjoy mixing together various types of wares from kilns around the country. This is in contrast to Western tableware which is generally made in matching sets with a consistent design for all the dishes, no matter what the shape. Porcelain is also much more common in the West, one reason being that it does not tend to change with use. This is different from Japanese aesthetics. This is a culture that appreciates the transitory nature of things, accepting the fact that time has its effect on objects. The Japanese see the beauty in this ageing process. There is also a special affinity for natural imperfection, something which is fundamental to the aesthetics of the Way of Tea. These aspects are part of the indescribable fascination and universal appeal of Japanese ceramics. A young man fascinated by Japanese pottery traveled across the sea to Japan 40 years ago. 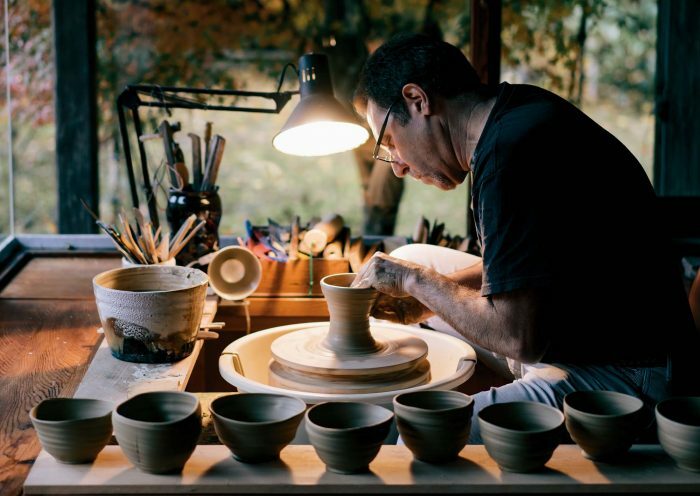 His name was Richard Milgrim and he first became interested in Japanese ceramics as a student at Antioch college in Ohio in 1975. Three of his professors had lived in Kyoto in the 1950’s & ’60’s and inspired him to go by sharing stories of their experiences. Touched by the unique Japanese sense of beauty, he felt compelled to learn more about the culture. In 1977 he fulfilled his dream to visit Japan. After formally studying the language for two months in Osaka, he moved to Kyoto to absorb the culture first hand. A few months later he began a 5 month journey hitchhiking back & forth around the country, visiting hundreds of kilns across all the islands. After initially focusing on folk pottery, he gradually recognized that the tea ceramics of the 16th and 17th century were what truly moved him. Returning to the US in ’78 after one year away was a reverse culture shock but it gave him time to reflect on his time in Japan. 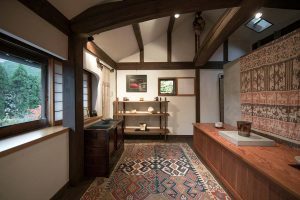 After graduating from Antioch in 1979, he was awarded a Thomas J. Watson Fellowship to return to Kyoto to study “The Way of Tea” while apprenticing to a master potter. His apprenticeship studies ultimately spanned the next 5 years. Beginning in Kyoto, he went on to study tea ceramics under master potters at kilns producing Hagi-ware (Yamaguchi Pref. 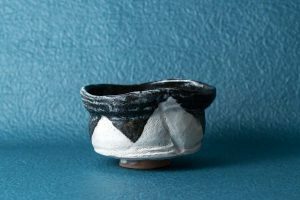 ), Bizen-ware (Okayama Pref. ), and Mino-ware (Gifu Pref.). 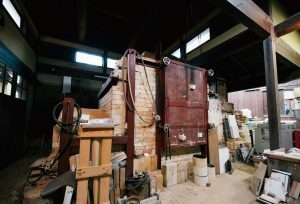 After marrying his Japanese wife Mari in 1984, he realized his ultimate dream, settling in a small village in northern Kyoto to build a kiln and establish his own studio, Richado-Gama. Over the years he has been fortunate to meet many people who have had a profound impact on his life. Without question, Dr. Sen Genshitsu, the 15th generation Grand Master of the Urasenke Tea tradition, who “named” Richard as 利茶土, and his kiln, Richado-Gama as 利茶土窯, and who has been his mentor for 37 years, is undoubtedly the most significant. Treasuring the connections established over the years, he has created works that carry on traditions and, at the same time reflect a boldness and originality. 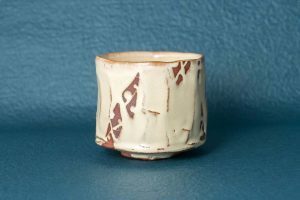 As an artist firmly established in his adopted home of Kyoto, he is in a unique position to help non-Japanese appreciate the significance of The Way of Tea and it’s ceramics as one of Japan’s greatest treasures and a vehicle of peace for all mankind. 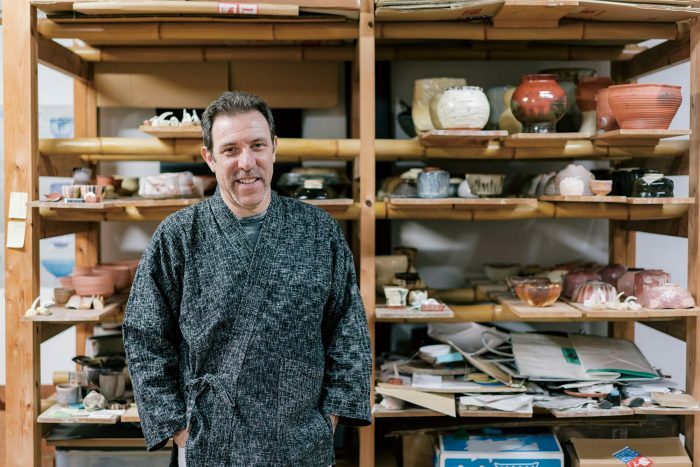 Richard speaks of his passion for “creating tea ceramics with a timeless quality that people will use and pass down for generations to come, hoping this essential art form of Japanese culture will continue to flourish long into the future. One of Richard’s favorite sayings is; “Ichigo, Ichie“, meaning “once in a lifetime” or “one time, one chance”. It reminds us to treasure every moment, for it will never come again. Born in New York in 1955. While visiting Japan as a student in 1977, he spent five months hitchhiking throughout Japan, meeting hundreds of potters. He established his kiln, Richado-Gama outside Kyoto in 1985. From 2000-2013 he also had a studio named Konko Gama outside Boston, MA. In addition to Japan he has participated in exhibitions worldwide. The information is current as of November 2016.